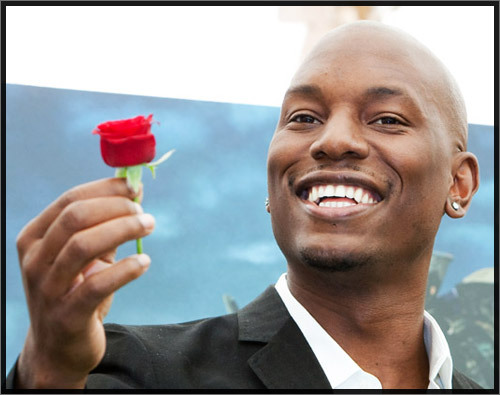 *R&B singer/ actor Tyrese Gibson made an interesting confession recently with The BVX blog. Despite his many talents, fame, and fortune, he said he actually aspired to be a garbage man when he was growing up. If you haven’t heard, Tyrese will be playing the role of Teddy Pendergrass in an upcoming biopic … once the late singer’s family ends it’s bickering. In the meantime, his book, “How to get Out of Your Own Way” is in stores now. And he co-stars in the awesomely good “Fast Five,” opening this Friday. Garbage man?? Oh No!! he became a model/singer/actor instead. LOL!!! garbage man? so what? working for the city, good benefits, ain’t no shame in a working man getting dirty. Several months ago, I was watching the news and they said that trashmen in NYC make $75,000 a year. I was like, hmmmm…I’m not going to say I thought about it too hard, but I thought about it. So what is he trying to say? God doesn’t approve of someone being responsible for sanitation, keeping us healthy?